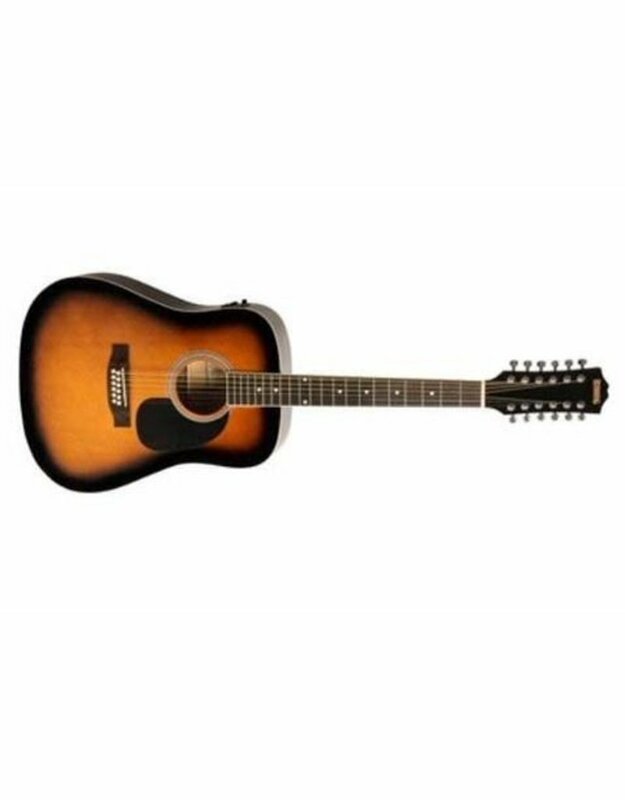 The Redding 12 String Acoustic Guitar dreadnought features a spruce top, basswood back and sides, cream bound catalpa neck with rosewood fingerboard and pearl dot inlays. It also has a cream bound body with triple ring herringbone rosette black teardrop scratchplate. Rosewood bridge with compensated saddle and chrome die-cast machine heads. 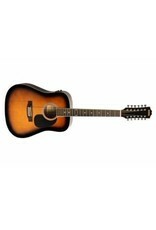 Supplied with UPlay Guitar Guide and free online lessons.